I don't even remember how I stumbled upon the Goody Goody Giftswap last year, but it was so fun to participate in, that I thought I would do it again this year. How it works is basically that you sign up with your name, interests, etc, and they pair you up with another creative soul to swap gifts with. You can see last year's swap post here. Fluerty Band, Necklace from my shop with her kiddos' names, Poppy Clips, soap by me, and Jamberry Nails accent sheet. 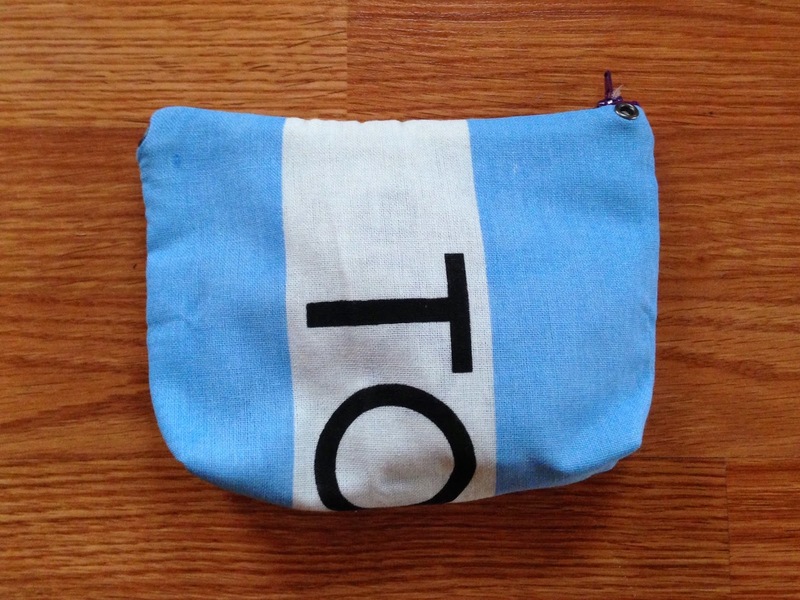 I packaged it all up in one of my Toms zipper pouches! My gifts arrive beautifully packaged! I'm just so amazed at Jule's calligraphy skills! What a gift she has! Jule designed this print. I mentioned my love for leopard in the survey! Right now it's displayed in our room on my newly organized shelf! Julie also included a fun grocery list notepad, designed by her as well. My grocery list notepad ran out a while ago and I've currently been using any scrap of paper I can find. I'm excited to have one that's pretty again!. The little post-its are glasses, and just so darn cute! I can't wait to use them at school. 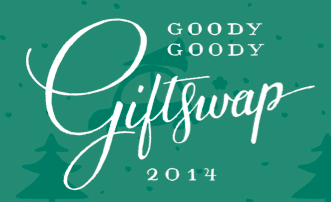 Another year of Goody Goody Giftswap success and another fun online friend!